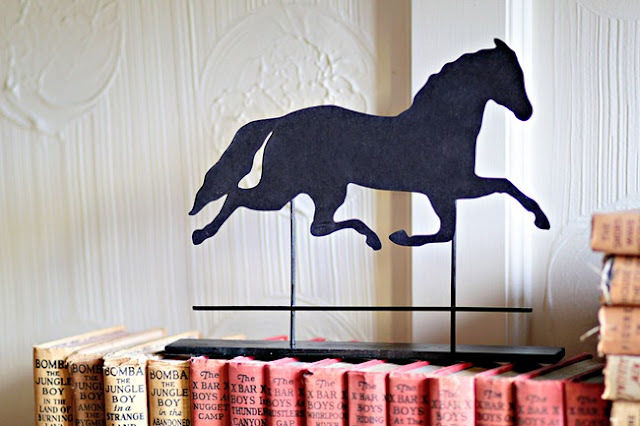 Tracy fell in love with a horse weather vane from Ballard Designs, but like any handy DIY girl she found a way to make a knock off version on her own. And you are going to LOVE what she used! Check out how she turned cardstock, skewers, and a paint stick into a knock of weather vane over at Tracy's Trinkets and Treasures.